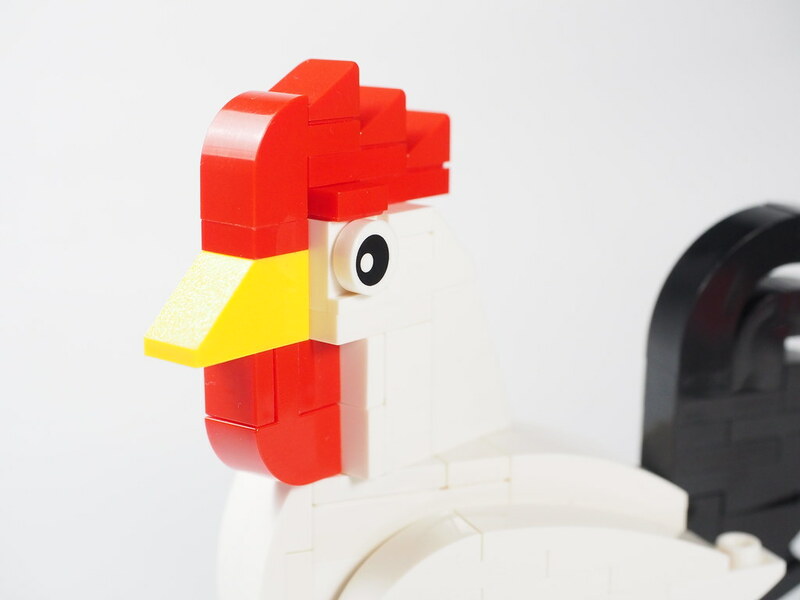 The Lunar New Year is just around the corner and it is the year of the Rooster and Artisan Bricks has come up with his own LEGO Rooster design. Working with just four colours of white, black, yellow and red which is used for its comb and wattle, it is iconic and reminds me of the rooster on the Chinese antique cutlery that you might still find in some Asian homes. 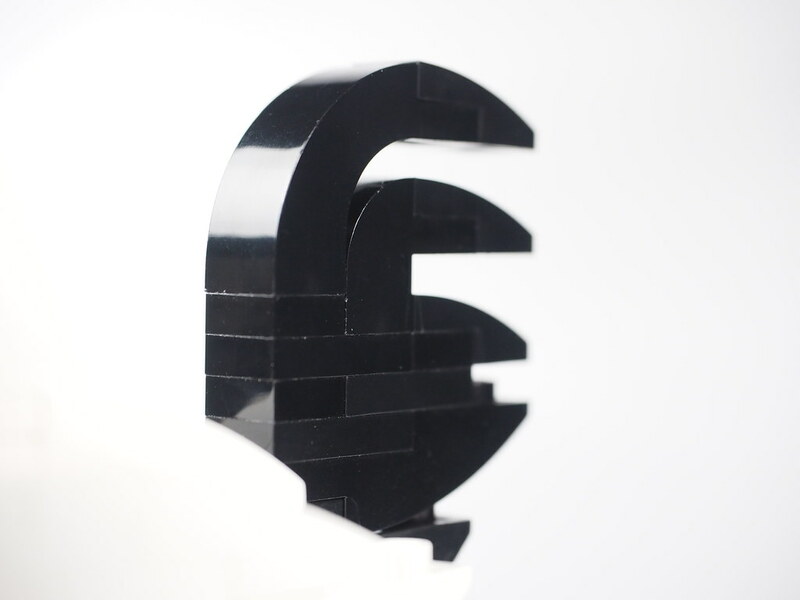 To maintain a visual consistency, he used the same parts to create different areas of the rooster. 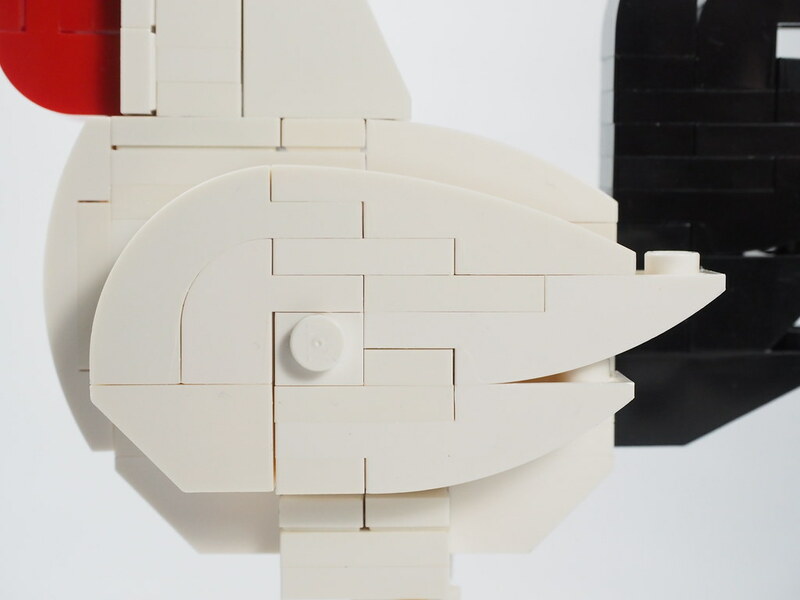 You will notice that the top of the tail and the wing are made up of 1x3x2 Arch Brick (92903) only that they are in different colours. The front of the comb and the wattle also uses the same parts 1X1X1 1/3 Arch Brick (609126). This can also be seen, in black in parts of the tail. I like the way the comb is created by just using plates and cheese slopes together with an arch brick and a 1×2 jumper. Separating the comb and the wattle is a 1×2 slope brick representing the beak. This makes it look quite authentic. A 2×3 plate was used to create a 3 stud width allowing a 1 stud spacing within the rooster’s shanks. 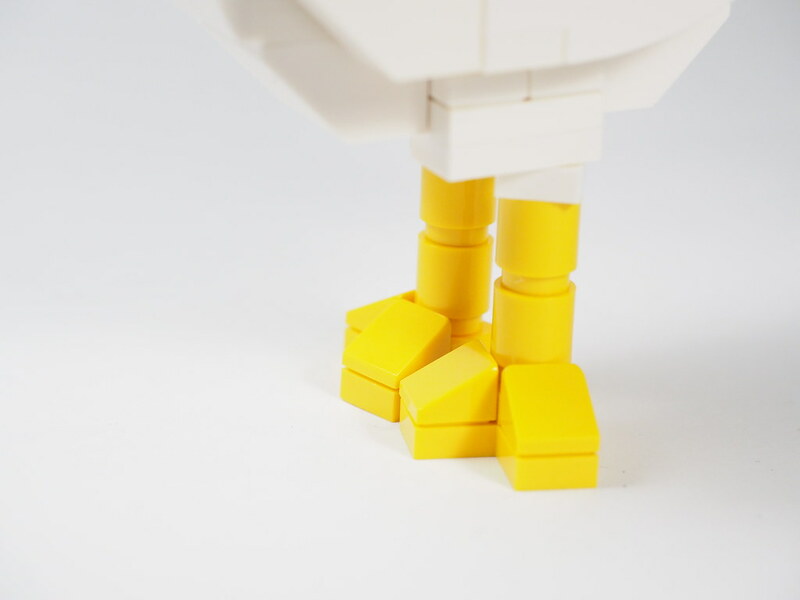 To give the visual effect of the shanks with lines and its feet, 1×1 round bricks were used and cheese slopes represented the claws. The main attraction for me are the proportions. Each part of the rooster is relatively proportionate to the other.